As demand for edge computing capacity continues to grow, driven in large part by Internet of Things (IoT) technology, customers will be looking for fast, secure, manageable solutions to deliver edge compute capacity. 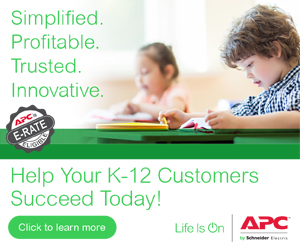 Thanks to the APC by Schneider Electric Micro Data Center (DC) Xpress, APC partners will be in prime position to help. As explained in this previous post, Micro DC Xpress makes it easy and cost-effective to add data center capacity practically anywhere it’s needed. The customizable units include the physical enclosure, UPS, PDU, management software, environmental monitoring, and security tools. The benefit for partners are many. For one, the units are all tested, assembled, and packaged at an APC by Schneider Electric facility and shipped to you in our Shock Packaging for protection. What’s more, Micro DC Xpress units are pre-tested and validated to work with popular converged and hyperconverged IT infrastructure, from vendors including HPE, Nutanix, Scale and Lenovo. The units ship quickly – in just 2 or 3 weeks from the time of order. With all the supporting software and infrastructure already installed, it’s quick, easy and cost-effective. Partners can also use our online Local Edge Configurator tool to customize the Micro DC Xpress to your customer’s liking, as explained in this previous post. While sitting with customers, you can design the Micro DC Xpress to fit their requirements, and they can see what the finished product will look like. The configurator tool also enables you to create your own customized, repeatable SKUs, which is great for customers like retailers or chain restaurants that need the same design in many locations. You’ll find plenty of target markets for Micro DX Xpress, including branch offices, banks, large enterprises with lots of remote locations, retail, government, hospitals and labs. Ruggedized versions are also available for verticals including oil and gas, mining, manufacturing and the military. What is your edge computing strategy? How do you drive standards and consistency across edge deployments? If you’re going with colocation providers, what’s your deployment strategy? Does it involve integrated rack systems, or should it? Are you looking for a faster way to deploy edge systems? Are you deploying converged or hyperconverged infrastructure from HPE, Nutanix, Scale or Lenovo? In what infrastructure will you house it? With Micro DC Xpress customers get certified, IT vendor-validated infrastructure delivered fast. IT equipment can even be pre-installed, enabling you to deliver a finished product to the customer site. The units are physically secure to prevent unauthorized access, just like you’d find in a traditional data center. And they’re remotely manageable, providing for maximum uptime even when no IT staff are on site. Micro DX Xpress offers a great opportunity for you to deliver real value while helping customers meet their edge computing requirements. Click here to check out all the Micro DC Xpress models and get started.